Sun associates real estate is one of the finest real estate management companies in Delhi. With a deep hold on the real estate market of new Delhi. We specialize in the sale/purchase and renting/leasing of luxury homes and apartments in south Delhi and prime commercial, Both office and retail space in Delhi and N.C.R. We would like to offer our services to you for all your real estate needs, Whether your executives / expatriates / diplomats are looking for accommodation on lease or you are you looking to purchase a houses or apartments for your own use or for investment purpose or be it office, Showroom/retail spaces for your company. Founded in 2008 with years of rich experience in the trade, Knowledge about each corner of Delhi and a dedicated team of professional executives, We are proud to say that we are the best realtor s in the town. We are a trusted and respected name with a deep and long standing relationship with property owners, Property developers and our clients which include embassies, Multi-Billion dollar Mncs and top business people. Our aim is to provide prompt, Honest, Transparent and Reliable service to you. 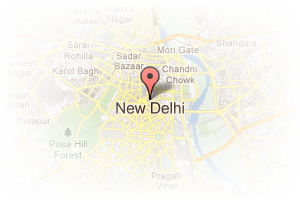 Address: 144, First Floor, Market-1, Chittaranjan Park, New Delhi, Delhi, India. This Broker Profile page for "Sun Associates" has been created by PropertyWala.com. 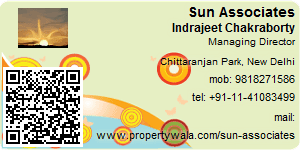 "Sun Associates" is not endorsed by or affiliated with PropertyWala.com. For questions regarding Broker Profiles on PropertyWala.com please contact us.